I have totally been avoiding sewing the curtains in my daughter's room. It has been such a long time that you may have even forgotten that we were working on a makeover in her room. When we left off last, I had just fininshed her closet. Her curtains have been sitting in my kitchen with the sewing machine out for a few weeks. I keep telling her I'm going to get them done….and still they sit. So let's start with the easiest version of curtains. 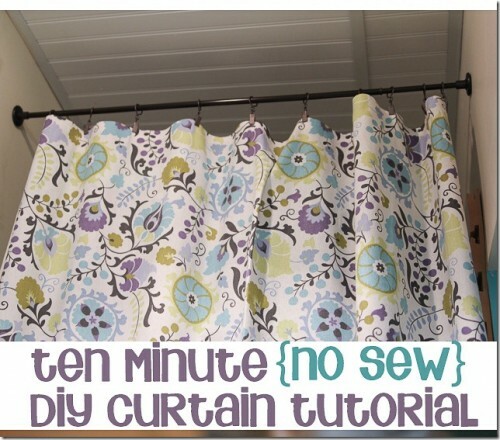 10 minute New Sew DIY Curtain Tutorial from Unskinny Bop. 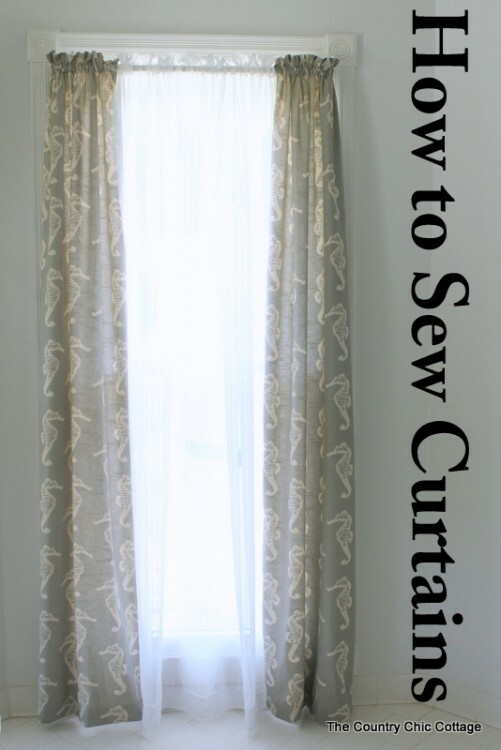 Next, here is a tutorial to make some classic curtains using a sewing machine. How to Sew Curtains from Country Cottage Chic. 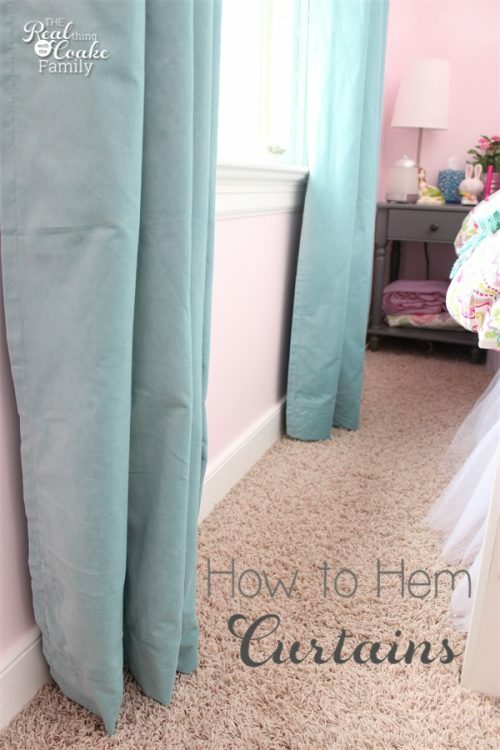 While we are sticking to simple and basics, here is my tutorial on How to Hem Curtains. This is my simple method to use store bought curtains and get them the right length. 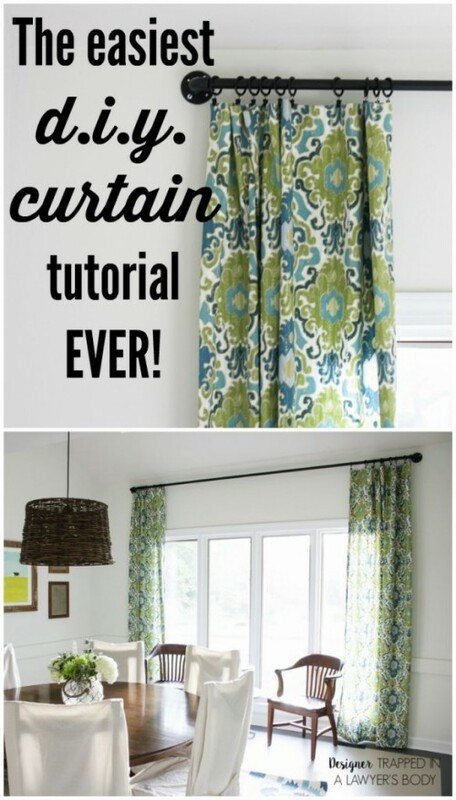 Designer Trapped in a Lawyer's Body has another great tutorial on how to make your own curtains. 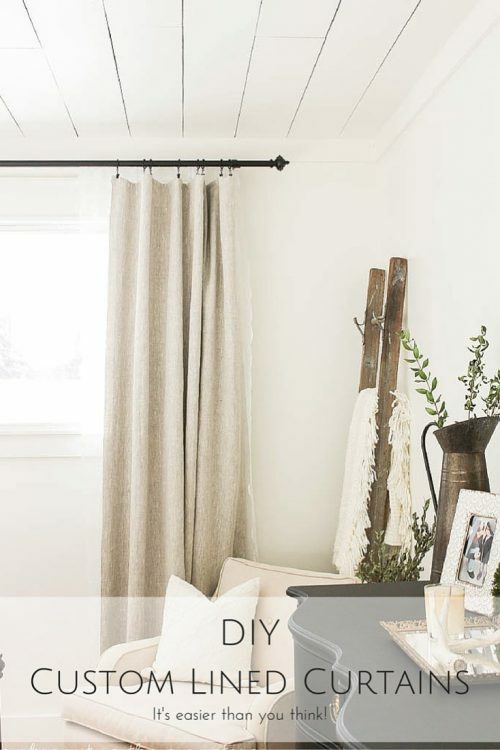 Now, if you want to get a bit more of a designer look on a DIY budget, Making it in the Mountains has a tutorial on making DIY Custom Lined Curtains for you. 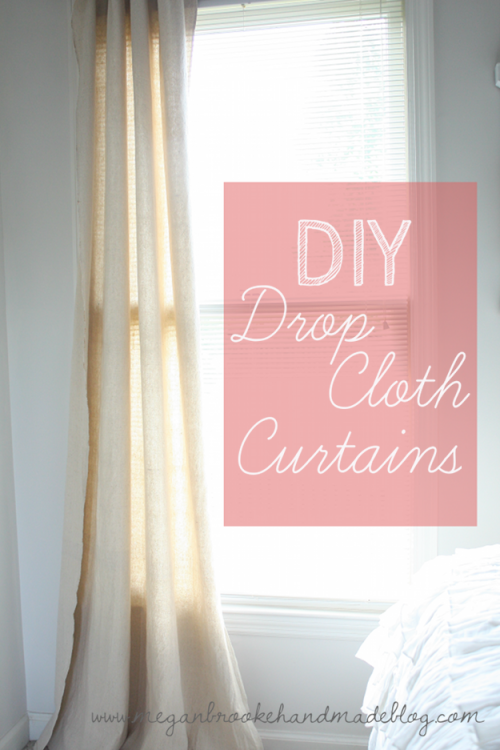 If you want to go inexpensive, Megan Brook Handmade has DIY Drop Cloth Curtains. You could easily customize these for some really low-cost curtains. Another somewhat low-cost option is to make curtains from bed sheets. Designer Trapped in a Lawyer's Body has a great tutorial to Learn to Make Curtains from Sheets. 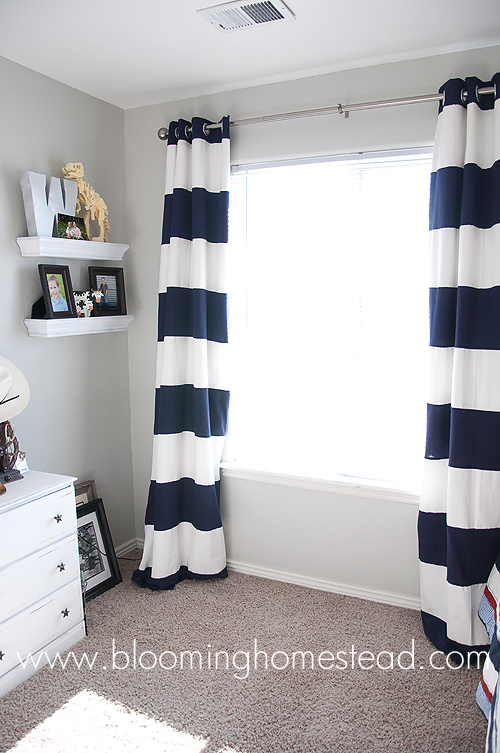 If you want to get fancy, you will love these Striped Curtains from Blooming Homestead. I love pom poms! This is exactly what I want to do to the curtains I got from IKEA that are in my room. Ciburbanity has a great tutorial to make these cute simple embellished curtains. Another fun embellishment idea is these adorable stenciled curtains from The Kim Six Fix. Stenciling curtains are such an easy way to add some personality to your curtains whether they are handmade or store bought. Domestic Imperfection has a great tutorial on How to Stencil Curtains. 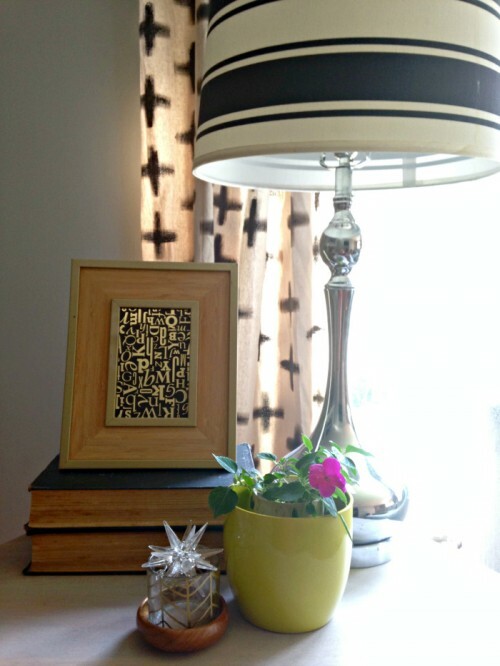 Here is another great tutorial on stenciling curtains. 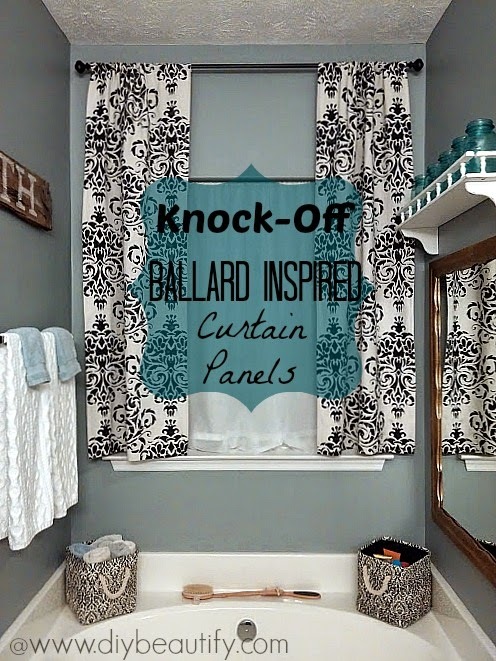 DIY Beautify has some Knock-Off Ballard Inspired Curtain Panels. 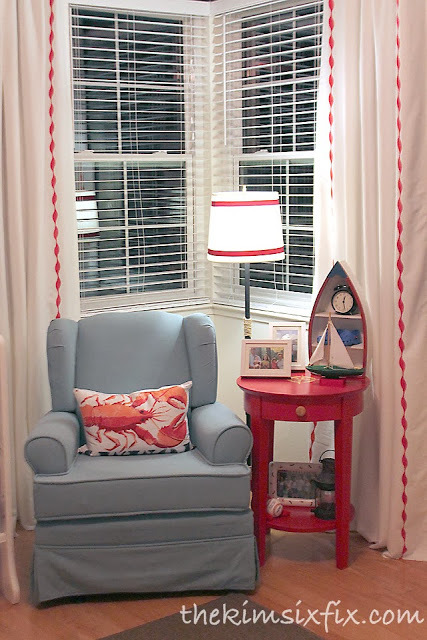 More painting curtains…it is such an easy way to personalize. I love these Painted Swiss Cross Curtains from Houseologie. 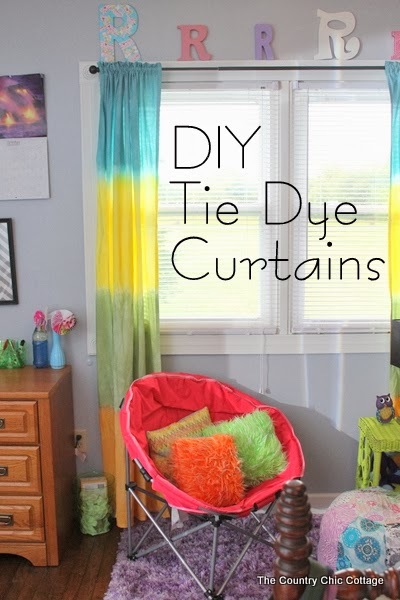 Another fun idea, especially since the curtains I'm avoiding are for my daughter's room, is to tie dye curtains. 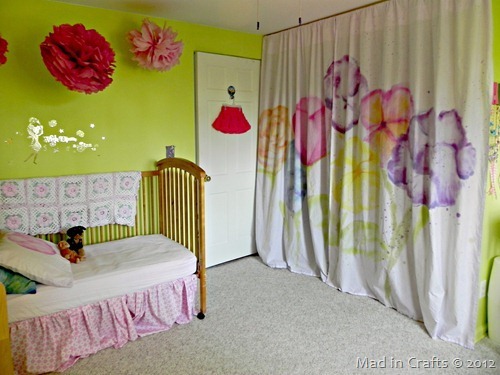 These Watercolor Curtains from Mad in Crafts certainly make a fun statement. Last but not least, another cute DIY Tie Dye Curtain idea from Country Cottage Chic. Now I just need to get over my not wanting to do her curtains and get them done. One of the issues with what she wants me to do is that she selected a ribbon that I bought, but didn't really examine carefully. It is a ribbon that has spandex in it. I think when I try to sew it, it is just going to slip and slide all over the place. I'm not looking forward to it and I think we just need to go buy some new ribbon and then I will get it done. 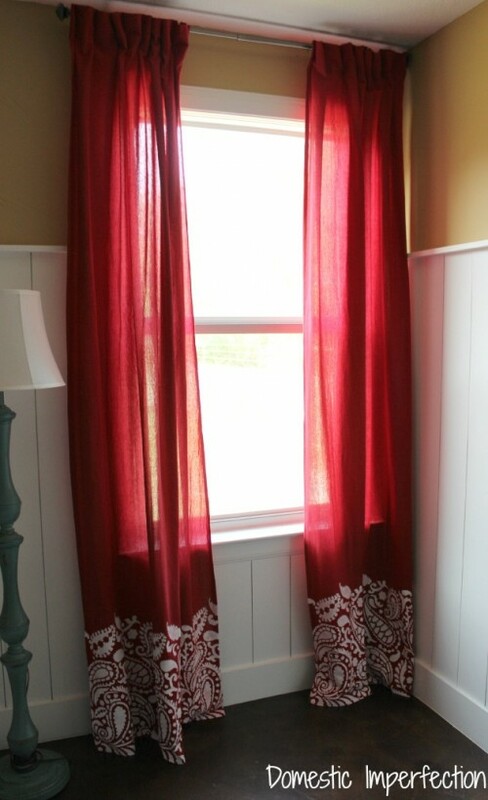 Have you made curtains or personalized store bought curtains? 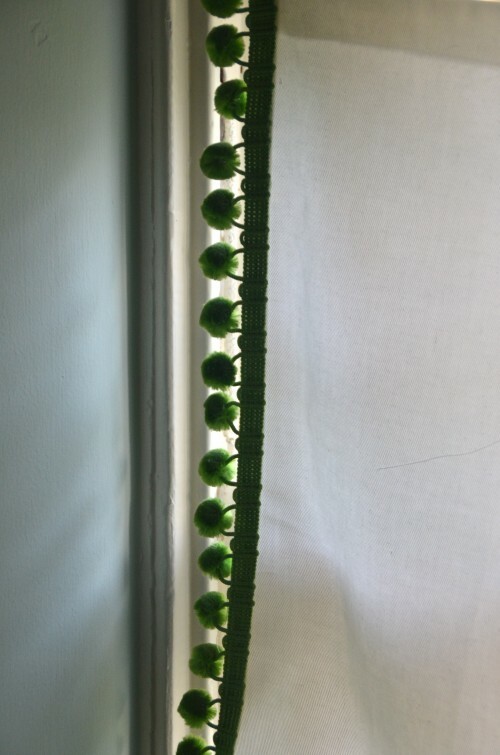 What is your favorite DIY Curtain? 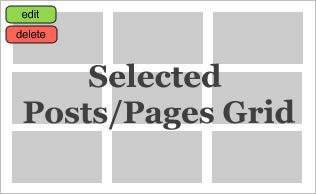 Leave me a comment below. Don't forget to follow me on Instagram for more family fun and creative ideas. I cracked up laughing when I saw this! I am in the exact same situation! My daughters curtains are hanging over the railing in my kitchen waiting to be made. I needed some inspiration to get me going on them! Good luck getting your curtains finished! I hope you get them done soon. 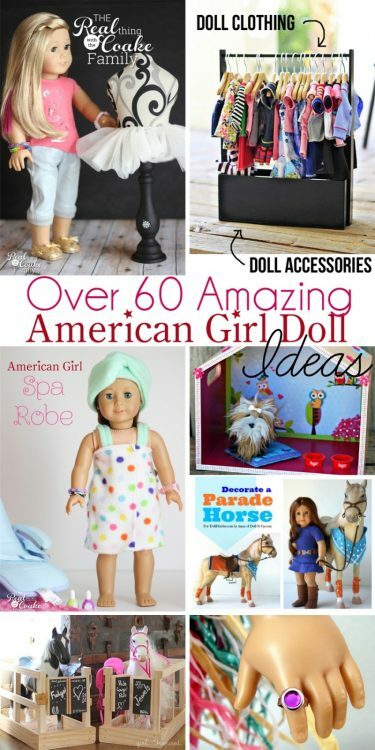 What a great collection of ideas! Thanks for sharing at Snickerdoodle Sunday. We’re happy to have you join the party. Pinned and Tweeted. Perfect for this time of year! I love changing out from winter to summer so it’s great to see these ideas! 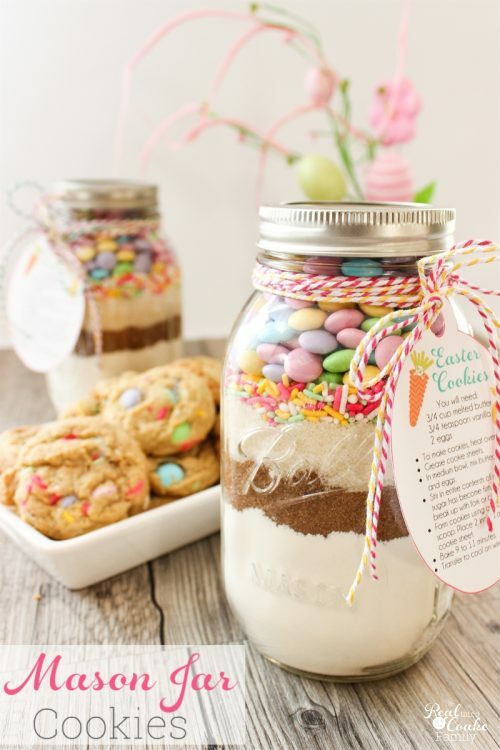 Thanks for sharing with us at the Throwback Thursday Link party! Well changing the curtains for the seasons sounds fun! Great idea!